I know they're trying to make her evolve, but Abby is not coming off well thus far. It takes a lot of effort to make Natalie Morales unlikable, and I wish they'd stop. Agreed, Etrigan. 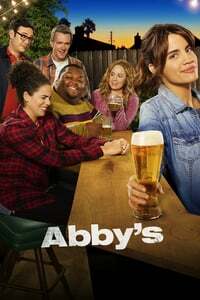 I love Natalie Morales, but I like all the bar patrons more than Abby. Parks and Rec took a while to get Leslie's character right, same with Michael and The Office. I'm hoping they dial Abby in better too. I just hope the improvement this episode shows over #1 continues. I like most of the physical jokes so far and all of the actors. I like how the stakes are pretty low, and Bill and Abby have good chemistry, and most of the other regulars are funny. But the laughter is so unnecessary. I hope they change up in season two and get rid of the audience. After not watching shows with a live audience/laugh track for a really long time I find it so jarring.